I love this skirt so much you'd never guess it sent me into fits of serger-thread-unpicking crying and rage! Instantly the clouds lifted, birds sang, and all was right with the world! A quick bit of waistband transplant surgery and rolled hemming later, and... I had a skirt! I wore it to work today and couldn't help but blurting out "I made this!" at random moments (though I got quite a few unsolicited compliments as well). Know the feeling? 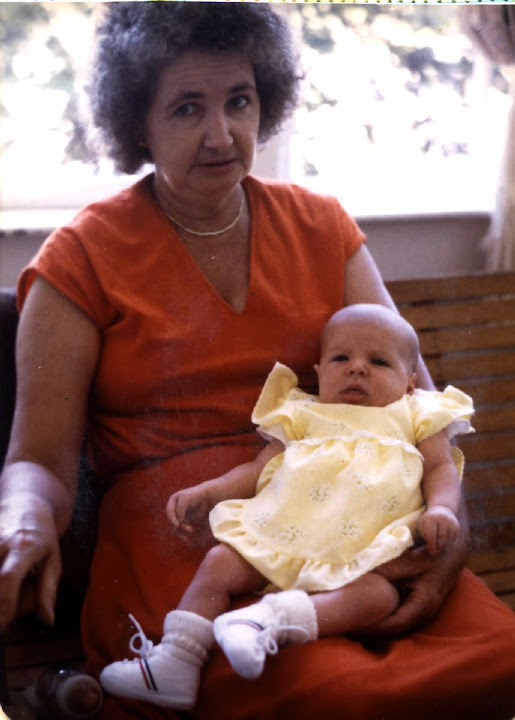 Melba in a simple orange knit dress, with newborn Mikhaela, 1980. Recognize that color? Kwik Sew patterns were her favorite, mostly because they were printed on sturdy white paper. And when she died in 2004 (see my tribute cartoon here), she left me her Kenmore serger and a number of her uncut Kwik Sew patterns, including this one. Also: I'd been meaning to try colorblocking for a while now, and this eight-gored skirt seemed like a perfect opportunity, since the pattern is otherwise a bit boring. The sketch: This is a good illustration of how helpful a digital croquis can be! 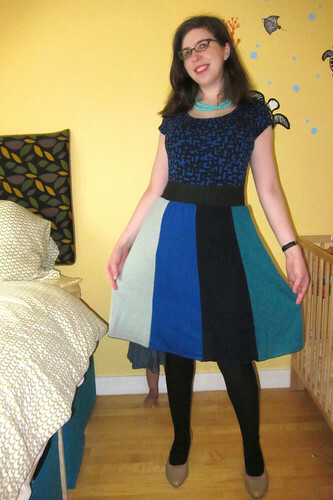 The pattern: Kwik Sew 2771, a so-simple-it's-embarrassing 8-gore knit skirt with elastic waistband. It's literally just one pattern piece. How I nearly screwed it up so badly I have no idea! 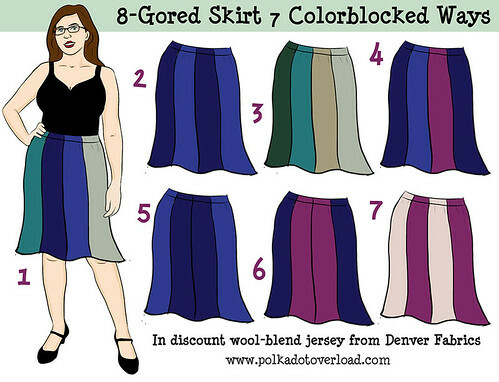 Skirt with eight gores. Yeah, that's it! It's practically a maternity skirt it's so basic (and with the waistband treatment I went with tugged up to empire height or down below the belly it could totally be one someday). XS-XL. I made the medium based on my measurements--but with jersey this tissue-thin, I should have made the XL (or even larger) and gathered the extra fabric. It's a bit skimpy as is. And I found the recommended elastic width for my waist size to be uncomfortably tight. Did it look like the photo/drawing on the pattern envelope once you were done sewing with it? Yes, but awesomer and colorblockier. Were the instructions easy to follow? There are like, three steps. So, yes. 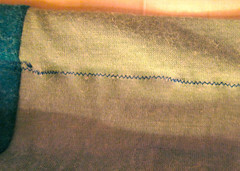 Except I still managed to serge some seams together on the outside (SOOO much unpicking) and I found the elastic-insertion method--sewing the elastic together and THEN topstitching the casing over it--to be ridiculous and finicky. It's simple and fun--you really can't go wrong. 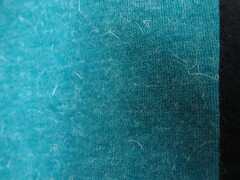 Fabric Used: Wool wool wool--I love wool, and I've always wanted to own a wool jersey skirt! The takeaway here: when an online fabric description says "blouse weight"--don't just hope it's a lie because you are too cheap to buy real proper weight fancy wool jersey. I was too lazy to change my serger thread, so the inner seams are done in light yellow thread. Which kind of shows through the thin fabric. OOOPS. I was going to do a twin-needle hem (for a nice weighted hang) with the help of a little stabilizer and/or interfacing, but after my struggle with the waistband, I just did a rolled hem in black thread and wooly nylon, which goes nicely with the soft black elastic waistband. First time using wool jersey--well, woolish jersey anyway. I'm loving the waistband--feels like a nice soft belt. A lot of people mistook this for a dress today, what with the coordinating knit top (from Target, in case you care). 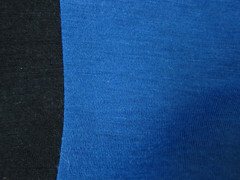 This would be more awesome in every way in a heavier 100% wool jersey. Or I could try and recut a fuller version or add some extra gores to this one... but I'm so unlikely to do that. I had serious static cling problems all day--this skirt and my tights just LOVED each other. Any tips to avoid that? Would you sew it again? Would you recommend it to others? I definitely recommend it, but I don't think I need more than one of these. Conclusion: My grandmother Melba would have loved this skirt. And my daughter Z is really lucky to have three wonderful and doting great grandmothers, but it really makes me sad that Melba never got to meet her. 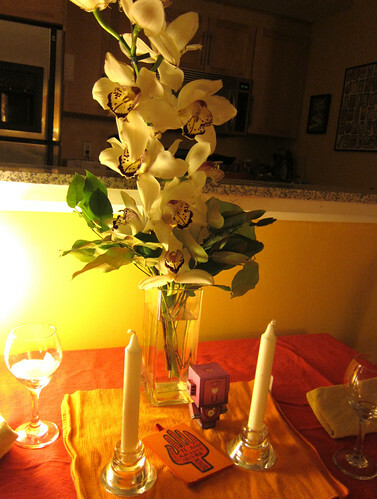 We had a lovely dinner for three--Masheka and I had sushi and wine and little Z had chicken and green beans. YAY! I just LOVE the skirt! And a brilliant idea to use the waistband from the other skirt as it really ties it all together! And I just love the photos of Z hiding behind your skirt...hahahah! Melba would be very proud and what a wonderful tribute!!! hey, your skirt looks really lovely with the matching colors!! And I love the way you caught up the love for seaming from your grandmother! My grandmother was also such a wonderful woman!!! I think yours would have been really proud of your skirt and also of little Z!! Also loving Z's dress and her photo-shoot assistance! Oh, I'm so glad you were able to conquer this skirt - it is so wonderful! I love love love the color combo & the black elastic waist really ties the whole thing together. The pictures with baby Z in the background are the cutest thing, btw... and your back view, with her half up your skirt, omg I totally lost it there hahaha. She is so precious!! I love the colorblocked skirt. I'm glad you were able to overcome the issues with it. I love the last picture with baby Z hiding under the skirt. So cute! I'm glad it turned out good for you cause that skirt is super cute! just wear a slip or underskirt, that helps a lot with "magnetics" and it feels more dressed with the thin jersey - love the colors! Your assistant is so helpful- especially in the back view photo! Such a fun skirt! I'm also in love with all of your color blocking inspiration. Love the first dress. 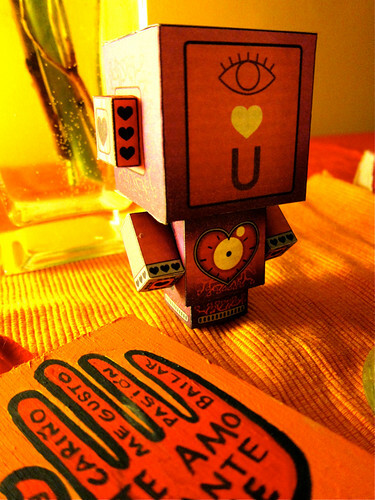 My son would LOVE the robot. The orchids are beautiful too. You're too funny with the drunken etch-a-sketch. 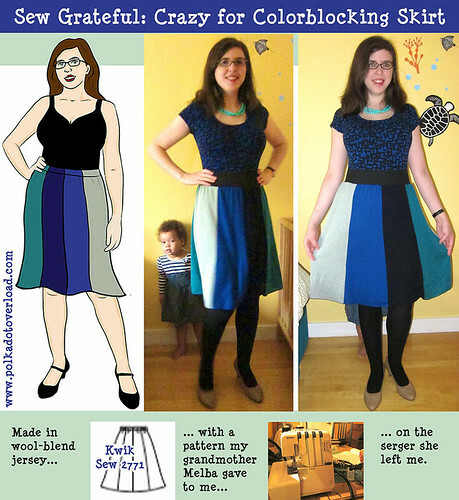 What a fun skirt, and how cool to have grown up with an orange-wearing Grandma! Pretty skirt! You should be able to get anti-static spray from the supermarket. I use mine a lot!